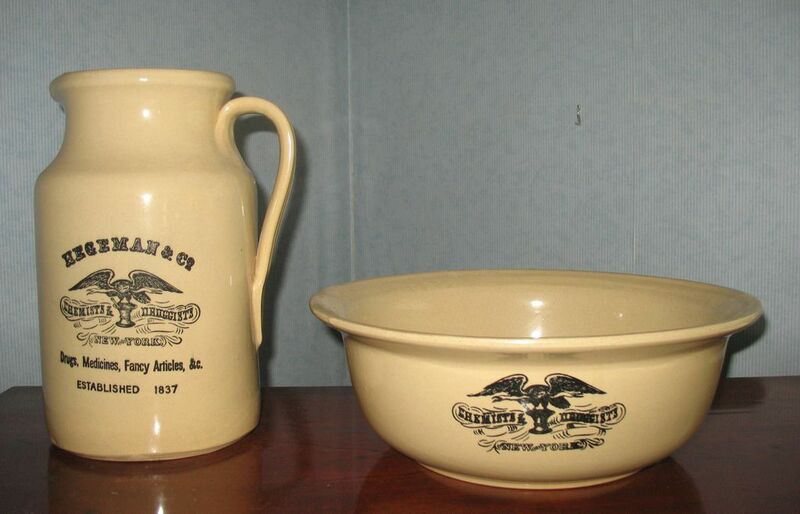 Large Hegeman & Co. New York, Chemists & Druggists, Medicines stoneware or ironstone, very heavy pitcher with matching bowl/basin. Possibly early 20th century, but I am not certain about this date. The pitcher is 12 1/4" high and has a handle with the matching bowl or basin measuring 14" in diameter and stands 5" high. 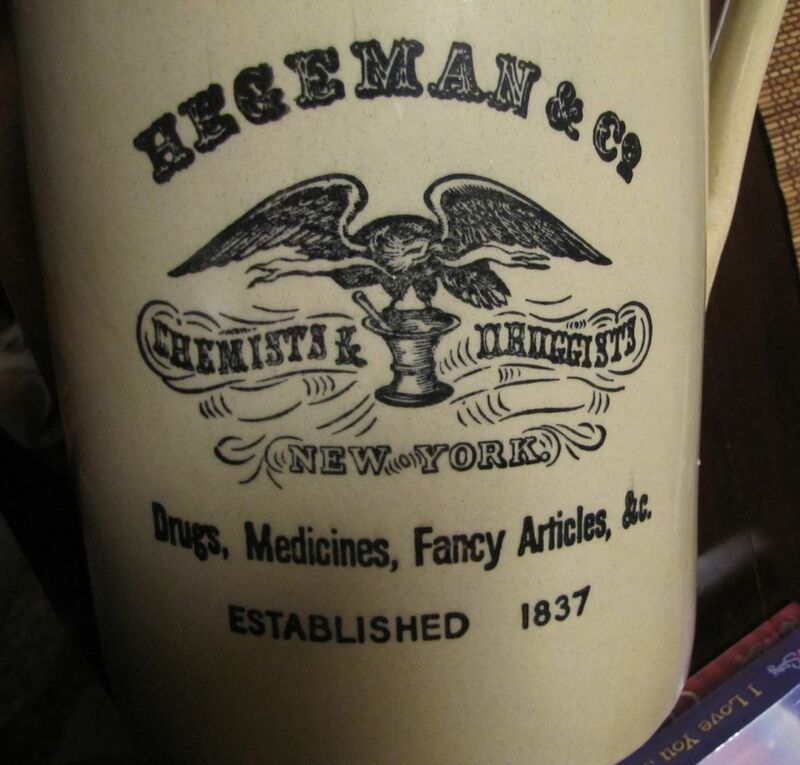 They are printed with Hegeman & Co. Chemists & Druggists New York Drugs, Medicines, Fancy Articles, Etc. Established 1837. 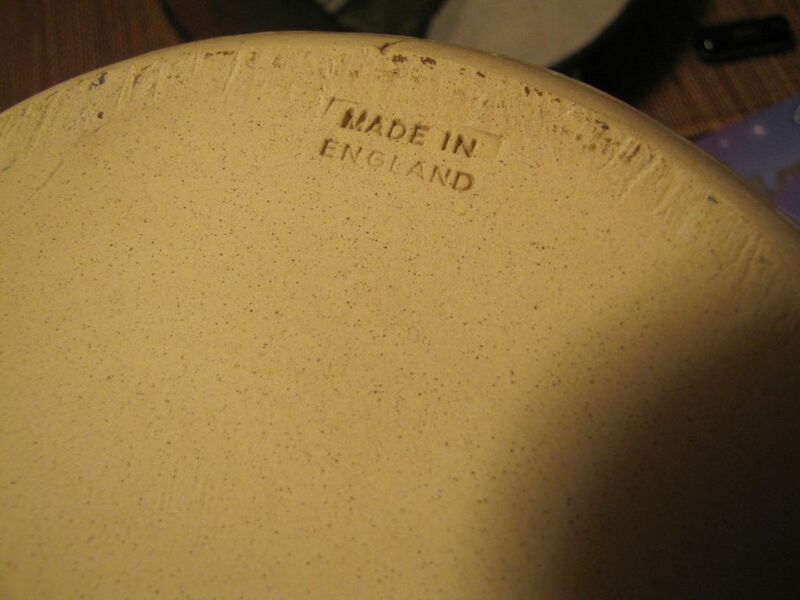 The bottoms of both pieces are incised Made in England. They are both in excellent condition, no chips, cracks or staining.